Today, I am going to review a pair of lenses that was sponsored to me from CamoEyes! 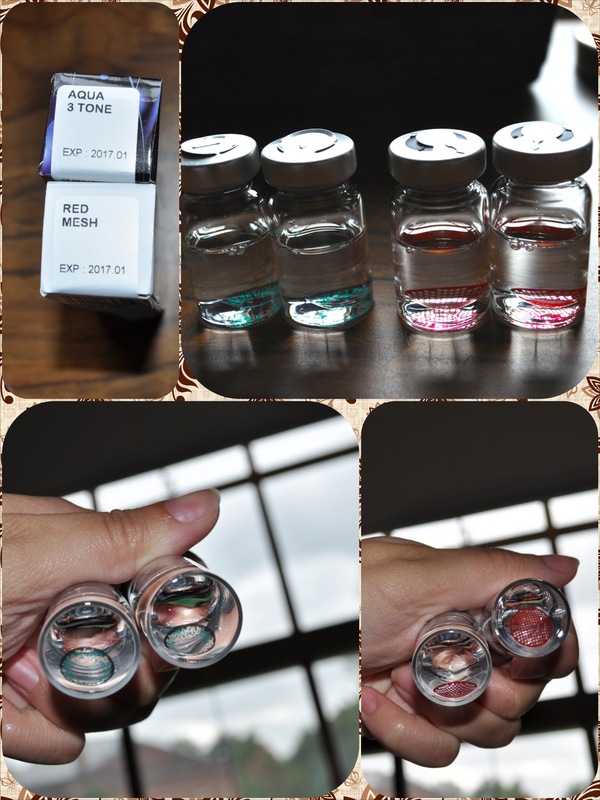 CamoEyes sells non-prescription colored contact lenses, ranging from more naturally styled lenses to crazy special effects lenses. This company is located in the United Kingdom, but they ship internationally. CamoEyes uses regular mail service via Royal Mail to ship their packages. The packaging for their products is fantastic! They sponsored the Aqua 3 Tone Contacts and the Red Mesh Contacts. 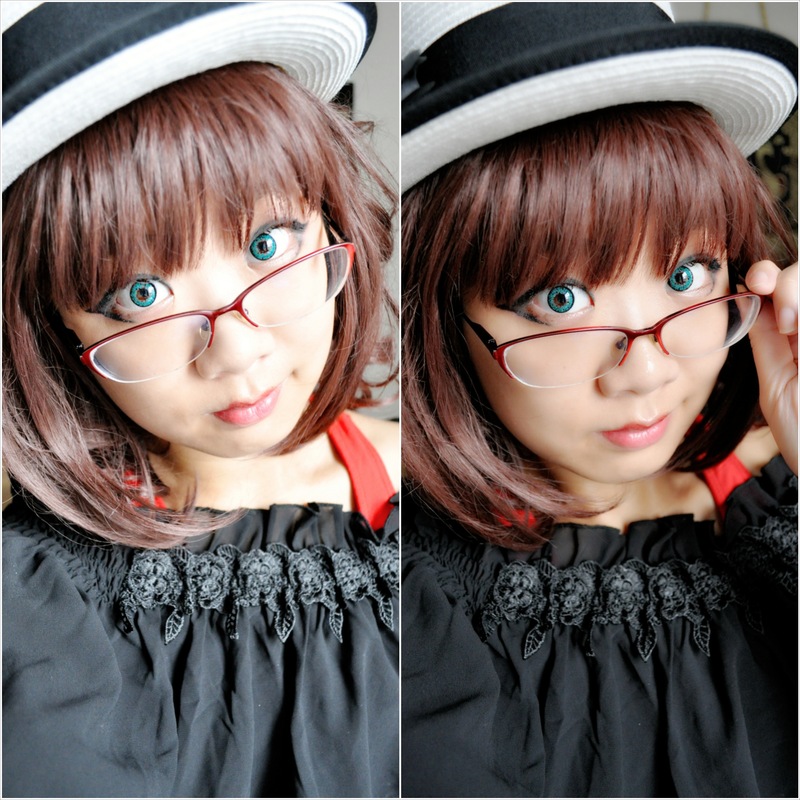 Both of these lenses do not give enlargement; they are not circle lenses. 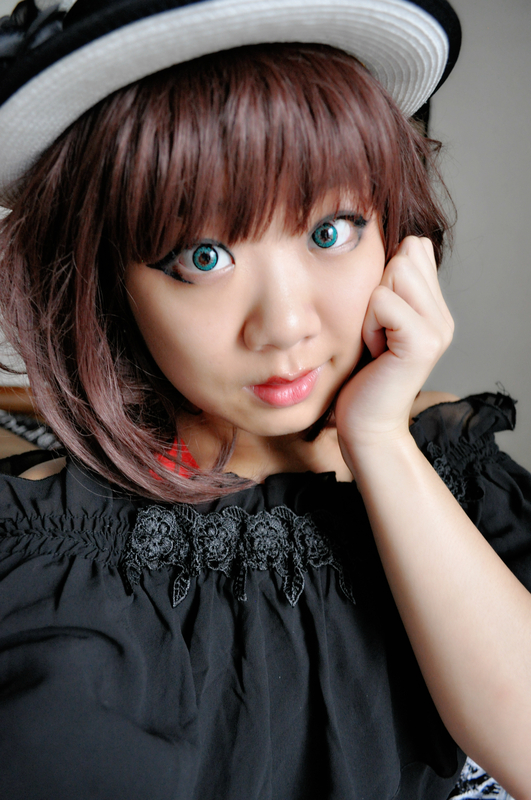 These are colored contact lenses. Contact lenses from CamoEyes are not medical devices; they will not correct your vision. These lenses are great for people with 20/20 vision who don’t want to enlarge their eyes! They give vibrant color without the circle lens enlargement. These lenses are also great for people who love wearing their glasses but want to change up their eye color. I know sometimes I love wearing my own glasses! These instructions came inside each of the contact lens boxes. I think it’s great when companies send out instructions for the use and care of their lenses! It’s important to read contact lens instructions to make sure you understand how to take care of them. Remember, your health and safety comes first! 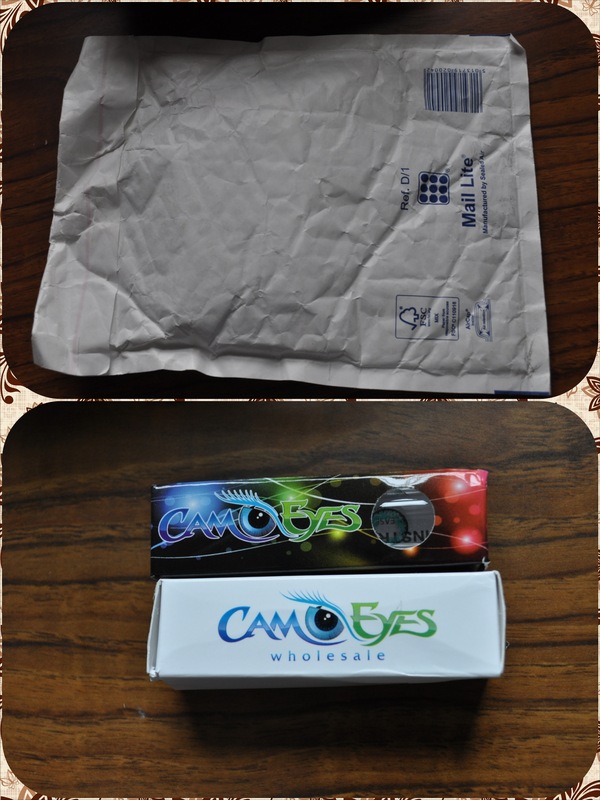 Lenses from CamoEyes may have different lifespans, so be sure to read the box, vials, and instructions carefully. Make sure you know when your lenses expire! This goes for any contact lens, not just these ones. In this post, I will focus on the Aqua 3 Tone Contacts. 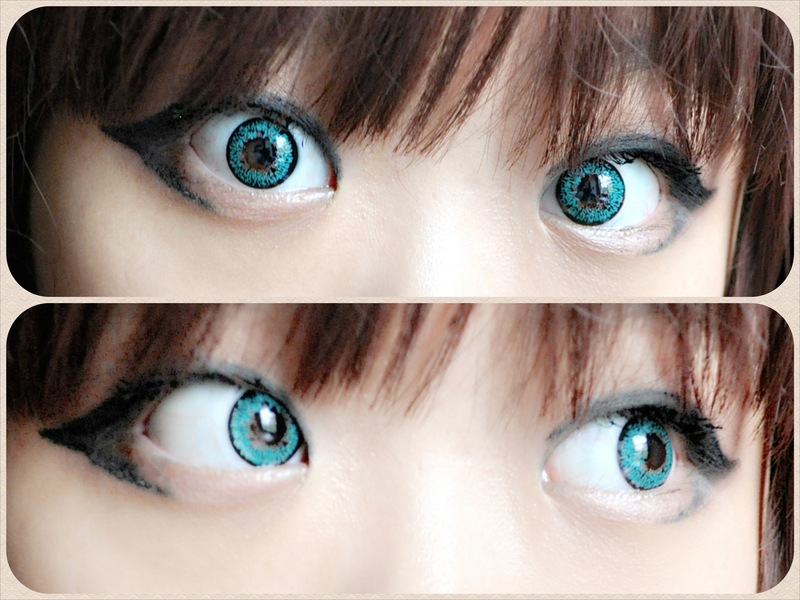 I love the pretty aqua/teal color of these lenses! The life span of these lenses is 90 days after opening their vials. These lenses are mostly aqua, but they also have bits of black and gold to give the lenses an interesting design. Even though these are not enlarging lenses, the black limbal ring defines the eyes and gives the illusion that the eyes are bigger. I always love lenses with a solid limbal ring! I have bad eyesight… so if I am usually seen wearing my trusty old glasses. I hope my eyesight doesn’t get any worse… I don’t want to switch to a higher prescription again! In any case, I love how vibrant my eyes look even with my glasses on. My normal eye color is a very dark brown that looks black in most lighting, so this bright aqua is a welcome change! For this makeup look, I wanted to go for something more natural, something that would be easy to wear everyday. To be honest, I do not wear makeup that often. I’m very busy, so if I have time to wear makeup on an average school day, I only wear eyeliner. But more often than not, I don’t put anything on my face other than moisturizer. For this look for CamoEyes, I used foundation, neutral brown eyeshadow, black crayon eyeliner, black mascara, and a red lip tint. I never use mascara, but I wanted to try it out since my lashes are almost non-existent. I love the way false lashes look on me, but they can be a hassle. I hope you like this toned-down everyday makeup look! You can use the coupon code “xiaorawr” for 10% off your purchase from CamoEyes! There is free shipping on all orders, by the way.